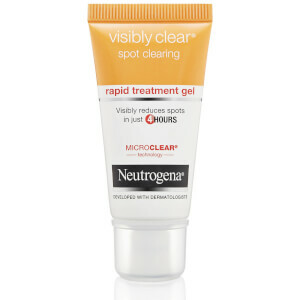 Our NEUTROGENA® Visibly Clear® Spot Stress Control Daily Scrub is a powerful creamy scrub to help clear spots before they appear. 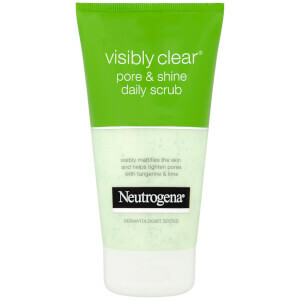 Its formula with exfoliators gently exfoliates dead skin cells while removing oil and dirt. 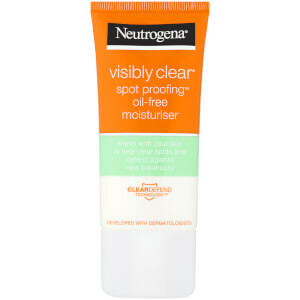 With unique Microclear® technology, the formula unclogs pores to penetrate deep down and help clear spots. The formula is enriched with green tea and cucumber extracts. 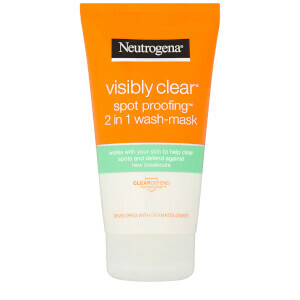 It soothes skin and is gentle enough for everyday use without over-drying. In the morning and evening, squeeze a small dab into palm, and massage onto wet face. Rinse thoroughly. [PR-014928], Aqua, Cetyl Alcohol, PPG-15 Stearyl Ether, Glycerin, Glycolic Acid, Jojoba Esters, Polysorbate 60, Salicylic Acid, Steareth-21, C12-15 Alkyl Lactate, Sodium Hydroxide, Benzalkonium Chloride, Camellia Sinensis Leaf Extract, Cucumis Sativus Fruit Extract, Lactic Acid, Menthyl Lactate, Cetyl Lactate, Cocamidopropyl PG-Dimonium Chloride Phosphate, Potassium Cetyl Phosphate, Cera Microcristallina, Xanthan Gum, Sodium Chloride, Sodium Benzotriazolyl Butylphenol Sulfonate, Citric Acid, BHT, Parfum, CI 77289, CI 42090, CI 19140.